Director Christopher Nolan and co-producer Emma Thomas, who’s also his wife, said in a featurette that they hope to excite and rekindle interests in space travel through Interstellar – well, there’s no question that this film has served that purpose while trying to push the boundaries so much further beyond that it becomes entertaining, tear-jerking, though-provoking and carelessly silly at the same time. Co-written with Nolan’s brother Jonathan, the story of this highly anticipated sci-fi film is set in a near future where Earth is environmentally dying and farmers have become more important than the likes of engineers due to the lack of food supply in the world. The only solution that NASA has is to assemble of the world’s last remaining young explorers and scientists to travel light years into space in order to find a suitable planet where humans could migrate to. 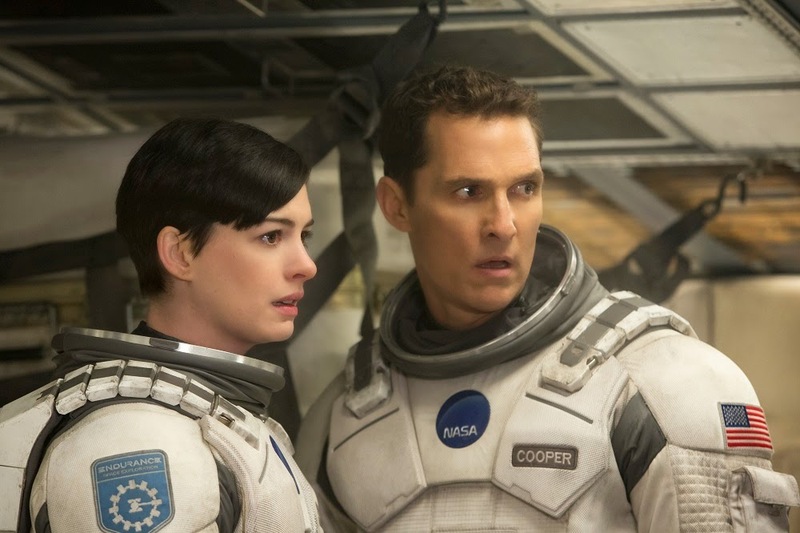 While in space, Cooper (Matthew McConaughey) the pilot, Dr. Amelia Brand (Anne Hathaway) and 2 other scientists must find the most efficient and quick ways to explore three unfamiliar planets as every hour they spend there could mean years back on Earth and their loved ones could die from either hunger, age or breathing too much dust and sand into the lungs. Primarily, they must ensure that mankind does not extinct. 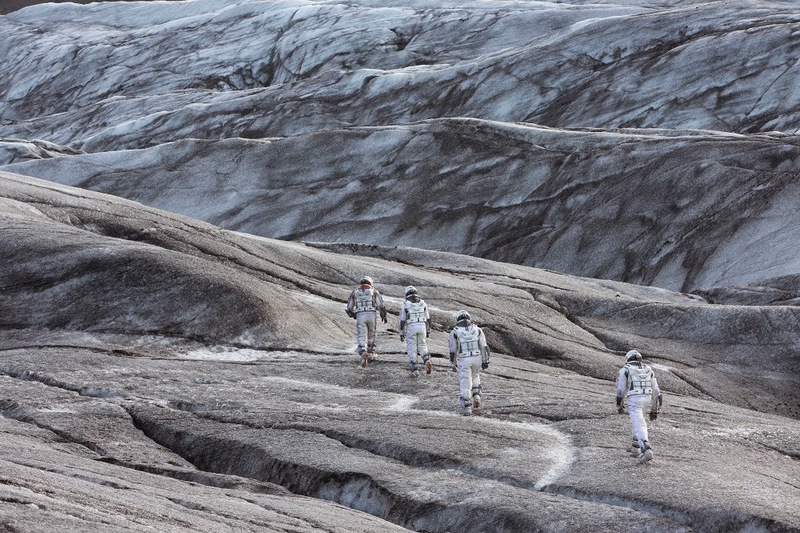 This is perhaps the most visually and CGI-demanding out of all Nolan films thus far but despite having much lesser budget than the last instalment of his Dark Knight trilogy, the visual effects department and cinematographer Hoyte van Hoytema (who also did for the 2013 award-winning film, Her) did a wonderful job as the results are stunningly beautiful and immersive to go along with the thrillingly gripping scenes in space and on the unknown planets. It says a lot about a producer-director when one does not opt to go for a gimmicky and unnecessary 3D release. The film doesn’t try to reach the high viewing experience bar that Alfonso Cuaron has set with his 2013 award-winning space thriller Gravity, but it doesn’t need to when its plot and characters have so much to offer as well. Featuring recent Academy Award for Best Actor winner Matthew McConaughey, 2013’s Best Supporting Actress winner Anne Hathaway, two-time nominee Jessica Chastain, Sir Michael Caine and Matt Damon (which was a surprise to me as I did not expect an actor as popular as him to be at the bottom of cast list), this has got to be the strongest cast ever assembled for a Nolan film. However, not everyone gets to stand out. We’ve seen how well McConaughey could act in a variety of roles from a heartless greedy stripper in Magic Mike (2012) to a wild AIDS patient in the multiple-award nominated film Dallas Buyers Club (2013), and this time the Oscar-winner again delivers a very strong performance, here playing the courageous pilot who prioritises his children over everything else. I believe this is one of the most heartfelt performances in his career. At least 3 of Cooper’s heartbreaking interactions with his daughter Murph (played by Jessica Chastain, young Murph played by Mackenzie Foy), whom he has to leave behind to embark on the voyage to save mankind, have triggered me to tear. No recent film had managed to make me shed a tear, let alone 3 times! 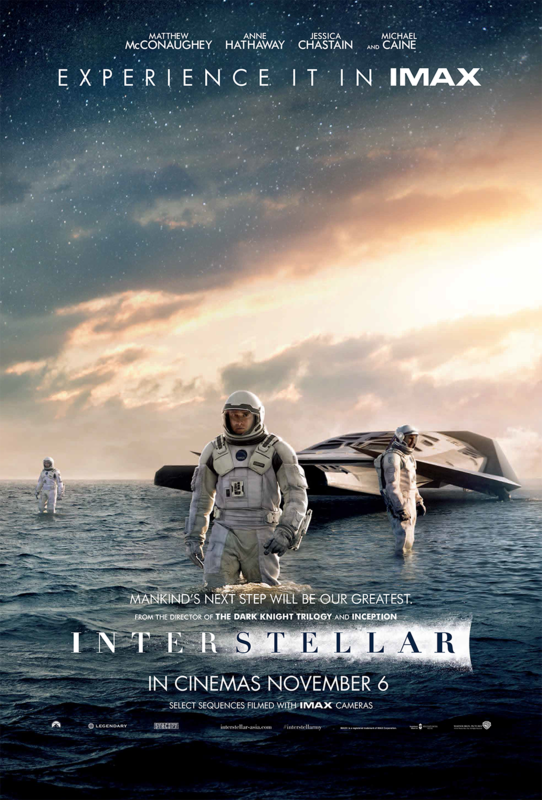 Nolan’s effective character development and emotional approach assisted by Han Zimmer’s subtly impactful music score, are some of the key factors to why the film is so thoroughly engaging despite being almost 3 hours long with a rushed third act that allowed too little time and activities on the planets. Hathaway and Chastain, however, seem sidelined by their science-smart female roles whose actions are influenced by typical girl-ish emotions and instincts. In between all the intense situations in space, there is surprisingly a right amount of good humour, mostly through dialogues with the pair of unusually designed but efficiently programmed robots named TARS and CASE. Voiced by actors Bill Irwin and Josh Stewart respectively, these AI’s are very likable in movie due to their ability to be hilariously sarcastic and 90% honest. The final scenes are both satisfying and underwhelming at the same time. It’s gutsy and surprisingly unusual for Nolan to have a clear closure to a movie instead of an open and debatable one like in his other films such as Inception (2010) and Memento (2000). Prior to the ending comes the defining climax — a jaw-dropping, out-of-this-world twist that unfortunately comes with a time paradox that could’ve potentially ruined the entire setup of the storyline (like in Insidious: Chapter 2) — from being totally scientifically believable throughout most parts of the film to suddenly “whaaaat, that doesn’t make any sense!” I can’t be certain that this is a flaw until I’ve re-watched it as there may be something I missed out on during one of the many of science talks between the characters. These talks are obviously to spoon-feed the audience with some general knowledge on astrophysics, physical laws and other science theories so that we could have a better grasp of what’s going on. Funny thing is that some of the basic stuff are explained in the scenes by traveler to another as though they shouldn’t already know about all this before leaving Earth. With the robots, ending and overall style, it’s noticeable that the film was heavily influenced by the 1968 epic space classic 2001: A Space Odyssey by Stanley Kubrik and countless other films with the similar themes of humanity, daddy issues (like the 1997 space drama Contact that also starred McConaughey) and familiar cinematic cliches. Nolan adds more depth into the premise with thought-provoking subjects such as interests versus necessity (Cooper wants his children to further their education when the reality is that the world needs more farmers to increase food supply), worthiness of sacrifice (should Cooper have left his family without knowing if he’ll ever come back? ), importance of time, and maybe more. 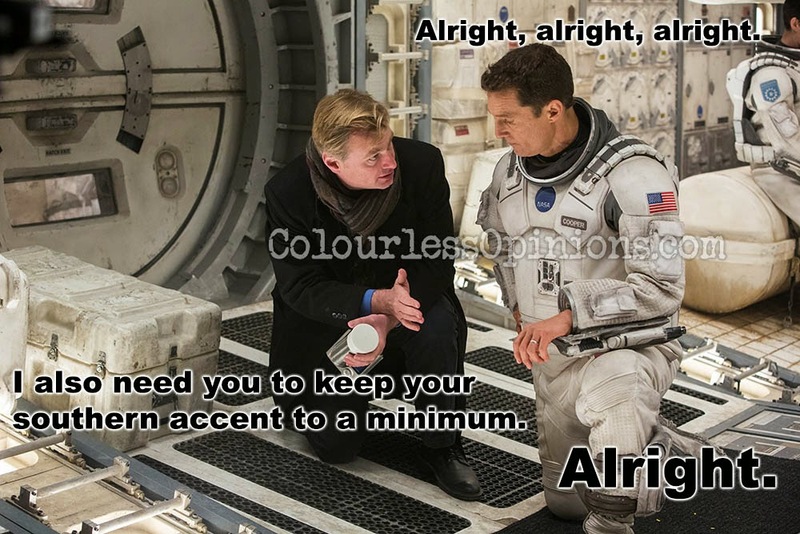 Nolan, who’s also one of the co-producers and co-writers of this film, has yet to fail in directing great films, but for once, his sky-high ambitions and constant attempt to break grounds may have backfired a little this time. 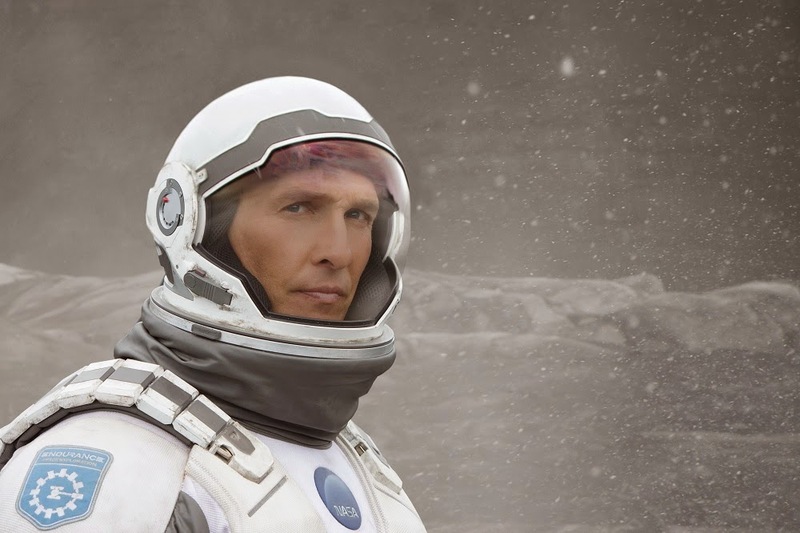 However, even though Interstellar may not be perfect, nor is it Nolan’s best work, it’s still one of the top space epics in decades. To watch in IMAX 2D? 100% yes. I believe only a true IMAX cinema hall could give the audience the immersive 70mm visual experience with impactful audio mixing that could cause a vibrating presence in an entire hall. Censorship in Malaysia: Nothing to cut. Second opinion: My girlfriend was full of compliments for the movie, saying that it’s darn good, never boring, kept her engaged from beginning to the end, and made her cry during some of scenes as well.